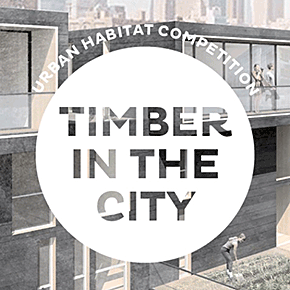 This is the third competition in this TIMBER IN THE CITY series, and focuses this year on the interrelationship between housing, health, early childhood education and climate change. Embracing new structural and ecological possibilities of wood construction, entrants will design a mid-rise, mixed-use complex that includes affordable housing, a large community wellness facility, and an early childhood education center, all interlaced with a new exterior public waterfront space. Entrants are challenged to propose construction systems in scenarios that draw optimally on the performance characteristics of not one but a variety of wood technologies, and are encouraged to think about the site as a testing ground for socially, materially, and environmentally progressive and innovative models of sustainable urban living.